Who Are Wrongful Death Heirs in California? Who Can File a Lawsuit to Seek Damages? On behalf of admin of JML Law, A Professional Law Corporation posted in wrongful death on Thursday, Feb 15 2018. Losing a family member is one of the most sorrowful experiences of life. If you’ve recently lost your loved one due to someone else’s negligence, willful or wrongful act, omission, or lack of action, spending countless hours in courts is probably the last thing you want right now. 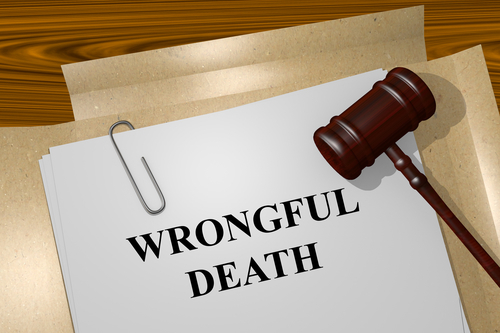 Although you don’t have to go through it alone – and can hire a Long Beach wrongful death attorney to handle the case on your behalf – you’re probably considering to file a wrongful death lawsuit in California to recover money. Sure, no amount of money in the world can bring back your loved one or even help relief the emotional distress caused by the death, but seeking monetary compensation is vital for the financial well-being of the surviving family members. But who of the deceased’s heirs are entitled to bring a wrongful death claim? Our best lawyers at JML Law answer: there are certain family members who are allowed to file a lawsuit following the death of their loved one. Who can seek damages in a wrongful death claim? A representative of the deceased who was authorized to act on behalf of that person in such matters before the death. In some cases, these descriptions and guidelines seem pretty vague, which is why it’s advised to seek legal advice of a wrongful death attorney in Long Beach to find out whether or not you can be legally entitled to file a lawsuit and receive wrongful death benefits or be entitled to the deceased’s assets and property. What if there are multiple eligible people? It’s not uncommon when there are multiple people who can bring a wrongful death claim and be entitled to wrongful death benefits. For example, a domestic partner and the children of the deceased. Under wrongful death laws in California, it is required that everyone who files a claim is named in the suit either as a plaintiff or an involuntary defendant. Due to the complexities of filing a lawsuit after the death of your loved one, the importance of being legally represented cannot be underestimated. JML Law has a proven track record of helping surviving family members in Long Beach and elsewhere in California. Depending on the circumstances of the death, wrongful death lawsuits can total millions of dollars. Our law firm possesses the combination of knowledge, compassion and drives to help you win the claim. Get a free consultation from our lawyers to find out what’s the best strategy to handle your case. Call our offices at 818-610-8800 or send us an email.